Guest Bio: Dr. Love joined GBT in June 2014 as President and Chief Executive Officer with broad leadership and management experience in the biotech/pharmaceutical industry. Before that, he was Executive Vice President, Research and Development and Technical Operations at Onyx Pharmaceuticals, Inc., where he played an instrumental role in initiating and completing several of Onyx’s first Phase 3 clinical trials. Prior to Onyx, Dr. Love served as President, Chief Executive Officer and Chairman of Nuvelo, Inc., where he led growth of the company to a market capitalization of $1 billion. Prior to that, he served as Senior Vice President, Development at Theravance, Inc. Earlier in his career, Dr. Love held a number of senior management positions in medical affairs and product development at Genentech, where he served as Chairman of Genentech’s Product Development Committee. Dr. Love has served as a consultant in medicine in the Department of Cardiology at the Massachusetts General Hospital. He currently serves on the board of directors of Amicus Therapeutics, Inc., and Cascadian Therapeutics (formerly Oncothyreon). Dr. Love holds a B.A. in molecular biology from Haverford College and an M.D. from Yale Medical School. He completed a residency in internal medicine and a fellowship in cardiology at the Massachusetts General Hospital. Segment Overview: Dr. Ted W. Love, CEO of Global Blood Therapeutics, Inc. (GBT) discusses sickle cell disease (SCD), the drug Voxelotor currently in development, and the social issues surrounding treating patients with SCD. Neal Howard: Welcome to the program. I’m your host Neal Howard. 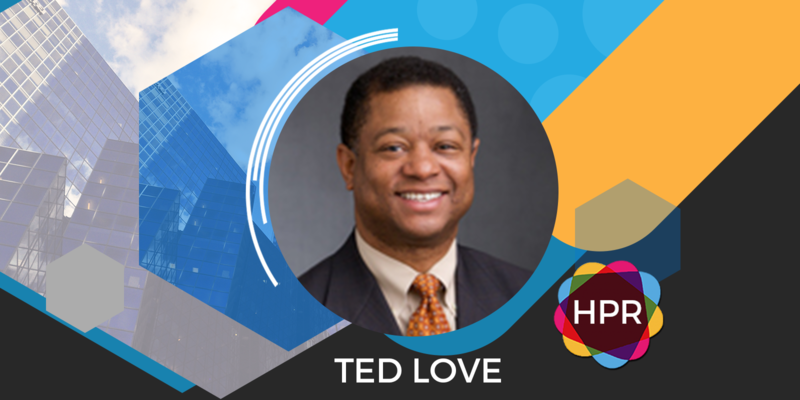 Our guest is Dr. Ted Love. He is CEO of Global Blood Therapeutics Incorporated and he’s joining us here on the program to talk about sickle cell disease. He’s also going to talk about some current developments in treatment and well all things a sickle cell. Thank you so much for joining us here on the program today Dr. Love. Dr. Ted Love: Thank you. It’s a pleasure to be here. N: Let’s jump right in. First a brief background about yourself. What led you into this area of research? L: I’m a physician by training actually a cardiologist and during my training one of the most disappointing areas of medicine that I encountered was actually treating sickle cell patients. When I was in New Haven at Yale and later when I was at Harvard at the Mass General, I eventually left academic medicine and went to Genentech where I focused on making quite frankly in retrospect many drugs for a variety of diseases but never worked on sickle cell. I was approached now about three and a half years ago from venture group that was focused on sickle cell disease. I just thought it was a super attractive thing to do to put the rest of my career the end of my career focus on the disease of African-Americans. I’m African-American that really had been ignored and that needed desperately need solution. That’s how I got here. N: What is sickle cell disease? L: Sickle cell disease is a genetic disorder in other words, people get it because they have a mutation and abnormality in one of the genes in their body. In this case, it’s a gene defect in hemoglobin and hemoglobin is the protein inside of our red cells which picks up oxygen and the lungs for our blood and drops it off in our tissues. That’s how we are able to get good oxygen to our tissues. Unfortunately, individuals with sickle cell disease have a very small in fact, a single amino acid change in their hemoglobin and that causes their hemoglobin to come out of solution like sugar falling out of solution and form rods and these rods physically deform the red cell like putting a sword inside of a balloon. Now these sickle cells can’t deform and they’re no longer flexible and in fact what they do is they rupture, which gives you the anemia and they also clog up our blood vessels which gives you the pain and the organ failure and unfortunately the premature death. It’s a very egregious problem but it’s really caused by a simple mutation that wreaks great havoc on these patients. N: Why is this mutation disproportionately affecting African-Americans? L: It’s a great question. It probably has to do, if I were quite confident, it has to do with malaria. Malaria as you know is a disease of an infection of a parasite. And these parasite in order to survive in us have to reside in the red blood cell for a while. One of the things that must have happened is that a mutation occurred in hemoglobin and it turned out that because that mutation destabilized the red cell, it actually was protective against malaria. In regions where malaria was very common, the malaria was actually selecting out for more and more people who had this mutation. It’s really a protective advantage against malaria. If you get one abnormal gene, you really aren’t sick but you’re protected from malaria unfortunately if you get two abnormal genes from both of your parents then you have sickle cell disease. N: You mentioned pain and premature death. What does a typical day for a person dealing with sickle cell look like as far as what they have got to go through? L: It’s as easy as quite …, particularly initially but over time, patients get the effect of accumulated lack of blood flow in their organ. They get bones which are in need of replacement and repair so hip replacement, shoulder replacements are very common. Obviously if I put a tourniquet on your arm, you’re going to develop a lot of pain. But this is not a tourniquet, it’s the same consequence if you block a vessel inside you could get lack of blood flow. So people get pain and over time your organs start to fail – you get kidney failure, you get liver failure, you can start to get heart failure. Because no organ is spared from this lack of blood flow. They have fatigue. They have pain. They have organ failure and they typically unfortunately don’t survive beyond the mid forties. N: Briefly describe what you and your team there at Global Blood Therapeutics work on. L: The thing that really got me very excited about Global Blood when this idea was referred first to me is that, drugs which go after the fundamental underlying problem are our most effective drugs. I’ll give you an example. We used to treat HIV with things like in help pentamidine to try to decrease infections and while that worked what really was a big breakthrough in HIV was killing the virus and everything went away. In sickle cell disease, remember I said the problem is this hemoglobin slim arising, forming these chains and if you could stop that, you should be able to correct the anemia, you should be able to correct the inadequate oxygen delivery to tissue. If you could really correct all of that you might mitigate the pain, you might mitigate the organ failure, you might mitigate the fatigue and we hope you will mitigate the premature death. We think that by going after the fundamental problem that we could have transformative outcomes. N: Dr. Love with just a minute left, talk about this new drug that’s currently in development, voxelotor. Talk about how it’s going to help the sickle cell patients. L: Voxelotor is a compound that we made here in our labs and the molecule literally binds to hemoglobin. And hemoglobin molecules which have a 440 molecule attached to them cannot polymerize. We know that this polymerization process requires a lot of deoxygenated sickle hemoglobin to make it work and that if you could take away a little bit of that deoxygenated sickle hemoglobin you would slow this process down to maybe a point where it’s clinically irrelevant. What we’re trying to do is give enough drugs to bind to 20%, maybe 30% of the hemoglobin in the sickle cell patients and we think that could translate into essentially reversing the process of polymerization and we hope the consequences of the disease. N: Where can we go and learn more online? L: At our website, our company again is Global Blood Therapeutics. We have a website that you can easily find by searching our name – www.gbt.com. I think we’ll also get you to our website. We actually have a website for our HOPE study, which is currently enrolling in the United States and 14 other countries around the world, with the aim of getting this drug approved and on the market by 2020. N: Dr. Ted Love, thank you so much. It’s been a pleasure. I’m hoping you’ll come back and speak with us in the future as things develop. Thank you so much. L: Thank you. My pleasure. N: You’ve been listening to Health Professional Radio. I’m your host Neal Howard. Transcripts and audio of this program are available at hpr.fm and health professionalradio.com.au.